Looking for a stylish and good quality outfit? You have surely come to the right place. This extraordinary Megan Fox Ninja Turtle Red Leather Jacket is just what you need. It is inspired from the one which is worn by Megan Fox in the movie Teenage Mutant Ninja Turtles. The movie was a very big hit and enjoyed by all the viewers. 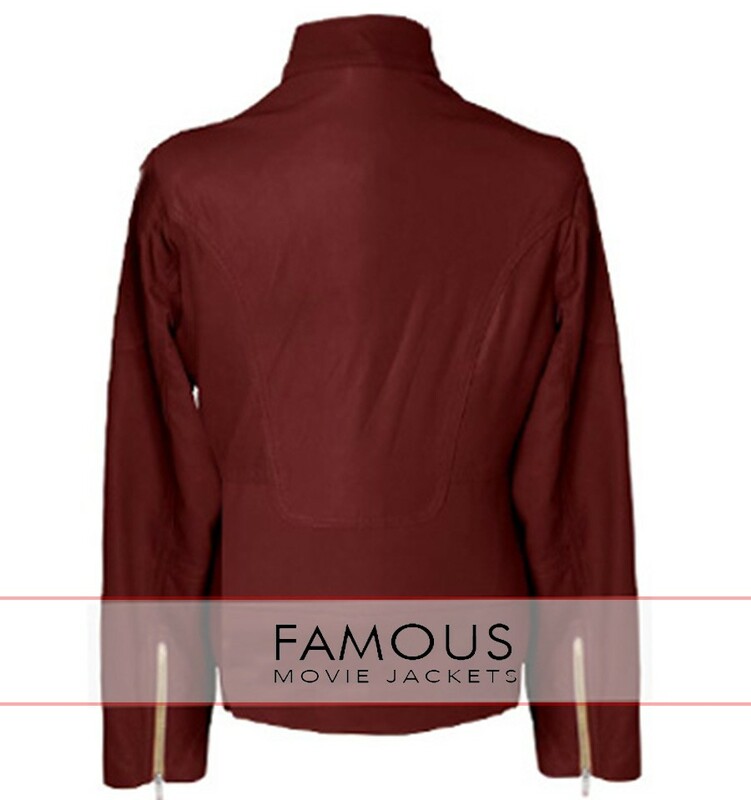 This jacket is the main highlight of the character of Megan Fox. She looks exceptionally classy in this jacket. We all aware of her charm that could make people crazy and this jacket on her perfectly shaped body made her look like a goddess. If you want to look like someone out of this world then this is your perfect chance. This jacket will make you look none less than a fashionista. It has been made from the 100% real leather which adds more richness to it. You will look adorable in this red colored outfit and we assure you that there will be no complaints regarding the looks or quality.